Verizon customers with the Samsung Galaxy S10 are now receiving a software update OTA. The update improves the stability of the cameras on the device and improves the performance of Wireless PowerShare. 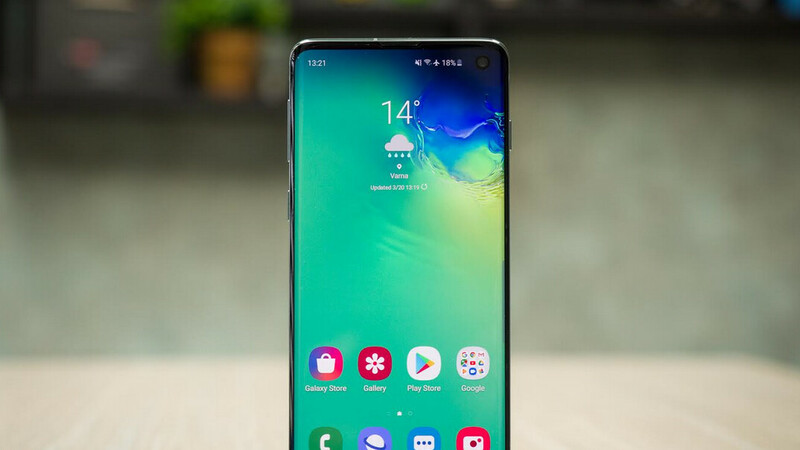 The latter is a new feature for Samsung handsets and allows any of the phones in the Galaxy S10 line to share some of their battery life with a device that supports wireless charging. For example, those with the Samsung Galaxy Buds can charge up the wireless Bluetooth earphones using Wireless PowerShare. This is done by placing the buds into their charging case and placing the case on the back of a Galaxy S10 handset positioned face down. Just keep in mind that by charging the Galaxy Buds in this fashion, the remaining battery life of the Galaxy S10 will be reduced. The update also includes the March 1st Android security patch and weighs in at a fairly hefty 464.08MB. Because of the size of the files, you might want to have your Galaxy S10 connected to a reliable Wi-Fi signal before downloading and installing the update. The phone must have a battery life of 40% and higher while off the charger, or 20% and higher while being charged. The update will not be available if you are roaming. You can tell it’s an April fools joke because it has “Samsung” and “Update” in the same sentence. Haha! Samsung” and “Update” and "Verizon" in the same sentence But, the screenshot is also of a global model (G973F) when it should SM-G973U for Verizon. Bring back Pro Mode (manual) on video recording. Seems like a step backward.